The follow up to her hugely popular first novel presents a Canterbury Tales?inspired picaresque that is also a biting satire of economic exploitation. When a ragtag international crew of migrant workers is forced to flee the strawberry fields they have been working in, they set off across England looking for employment. 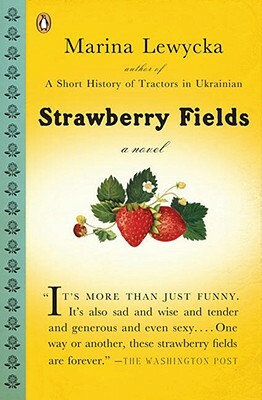 Displaying the same sense of compassion, social outrage, and gift for hilarity that she showed in A Short History of Tractors in Ukrainian, Marina Lewycka chronicles their bumpy road trip with a tender affection for her downtrodden characters and their search for a taste of the good life. Marina Lewycka was born of Ukrainian parents in a refugee camp at the end of World War II and grew up in England. In the course of researching her family roots for this novel, she uncovered no fewer than three long-lost relatives.